The 20-year-old has not been seen since Wednesday night. Authorities have very few answers after a college student from Iowa went missing on Wednesday night while going out for an evening jog. 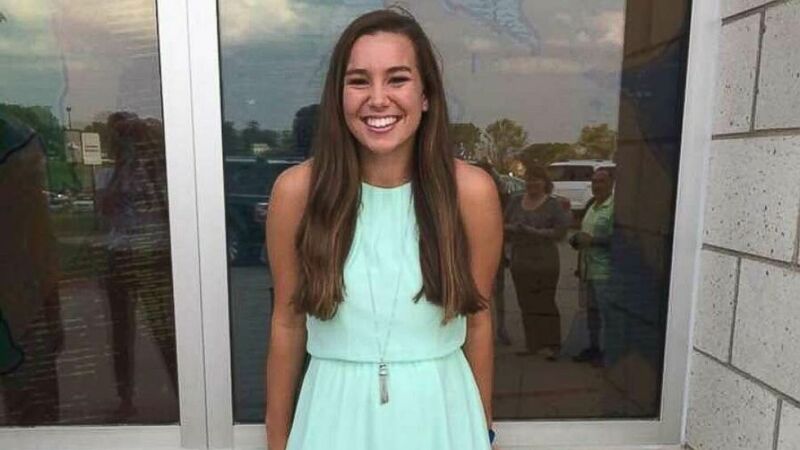 Mollie Tibbetts, 20, left for an evening run from a house where she was dog sitting with her boyfriend in Brooklyn, Iowa, at about 10 p.m. on Wednesday and not been seen since. "She might have a FitBit on and she might have her cellphone, but obviously we've tried just calling her but it's either off or dead so it would go straight to voicemail," her boyfriend Dalton Jack said. Jack told ABC News that Tibbetts, who attends the University of Iowa, sent him a routine photo over Snapchat the night she disappeared. (Poweshiek County Sheriff's Office) Mollie Tibbetts, a University of Iowa student, went missing after going out for a jog on Wednesday, July 18, 2018. The area is largely farmland, and hundreds of volunteers searched acres of barns, dirt roads and cornfields on Friday and Saturday in a bid to find the missing woman. Officials also used a helicopter to help search the area. "This is not like her at all," her aunt Kim Calderwood told Des Moines ABC affiliate WOI. "She's a very responsible and conscientious young woman." Authorities told Cedar Rapids ABC affiliate KCRG they did not need any more volunteer searchers. 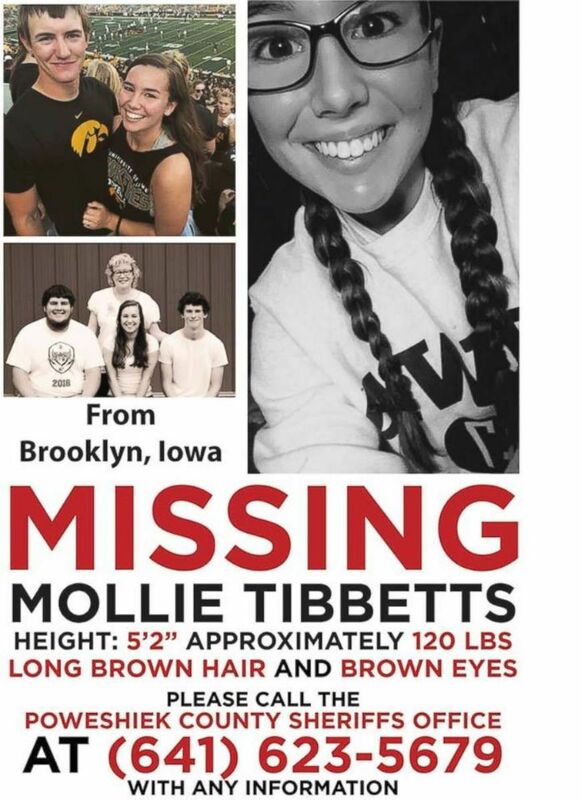 (Poweshiek County Sheriff's Office) Authorities are searching for Mollie Tibbetts, 20, after she went missing while out for a run in Brooklyn, Iowa, on Wednesday, July 18, 2018. Tibbetts was last seen wearing running shorts, a black sports bra and running shoes, authorities said. She is about 5-foot-2 and 120 pounds with long brown hair and brown eyes. Brooklyn is located in eastern Iowa, about 70 miles east of Des Moines. "We miss you, we're looking for you and we will never stop," Calderwood said.